A chill wind blows through the elms this morning, not at all what one would expect for the day after the Fourth of July in north central Oklahoma. Though the rain stopped a few minutes earlier, showers of water still fall from the soaked leaves with each gust of wind. Two days of wet weather have reduced the crowded paddock area to a muddy mess. You can see drivers and race crew members slipping and at times falling as they scurry about to prepare their entries for the Ponca City Grand Prix Sports Car Races. Driver Don Flegal steps carefully as he makes his way toward his silver and black Corvette. Most of these drivers will say they have a love for fast cars that stretches back to their adolescence. As blue sky is gradually revealed through the departing gray clouds, the first racing group of the day—mostly cars in the Production category—roars around the mile-and-a-half course. Five other groups will race before Flegal’s turn arrives; he has six hours to wait. The 41-year-old director of personnel for the University of Oklahoma is consciously trying not to do anything—anything, that is, except relax. Drivers are single-minded when they talk about cars: How fast can it go? Any auto race is a test of a driver’s endurance and powers of concentration, and today’s race will be especially grueling. The course is laid out on actual roads, which means drivers must contend with changes in camber and surface as they proceed around the track—a tough track made more difficult by the rain—before facing the hairpin turn just before the Start/Finish Line. Although it is cool now, the afternoon promises to turn steamy hot by the time for the final race. Clad in a helmet and heavy racing garb designed for safety, a driver sweats enough as it is, but a muggy afternoon can create a nearly intolerable environment behind the wheel. Race car driving has been compared to tight wire walking. A driver must concentrate on keeping his car from flying off the course as he negotiates turns and keeps track of his competitors—a nearly all-encompassing task. He can take quick glances at his gauges and at the lap-time messages held up on boards by crew members as he zips by the paddock, but that’s about all. Drivers in good health will have no easy time of it, and for Flegal, coming off two days of stomach flu; the race could turn into a torture session. Conserving energy is of paramount importance for the graying resident of Yukon. While he may lack the flash of some of the other sponsor-enriched competitors, his skill as a driver is respected. He already has won one Sports Car Club of America national event in his GTI racer. (GT1s are large, loud cars that excite spectators with their roaring speed. Flegal’s car has a 1982 Corvette body-style, although few parts on or in it -including the fiberglass body -are manufactured by Chevrolet.) Yesterday, though feeling sick and combating heat and a wet track, he captured the pole position, which gives a driver the greatest advantage at the start of the race, by placing first in the 10-lap qualifying heats. So he stands a good chance to win the GT1 event and pick up another SCCA national event title. He figures if he wins here and then wins one more national event, that should give him enough points to qualify for the SCCA Valvoline Runoff near Atlanta—the SCCA national championship competition. If he makes it that far, he’ll probably battle with the man who has won the GTI title the past two years, a driver named Paul Newman. 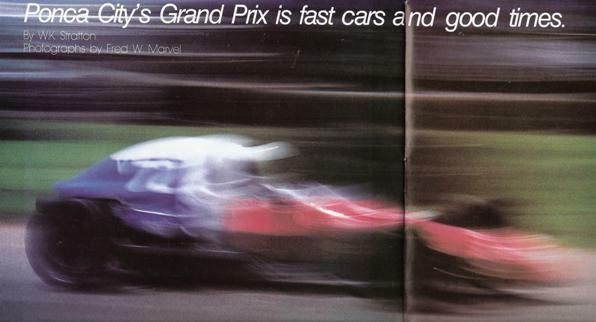 In its strictest sense, the term grand prix, French for grand prize, refers to a program of races based on the format established at Le Mans in France in 1906. The grand prix races are conducted on four continents, and the driver with the most victories wins the title of World Championship of Drivers, or Championnat du Monde des Conducteurs. 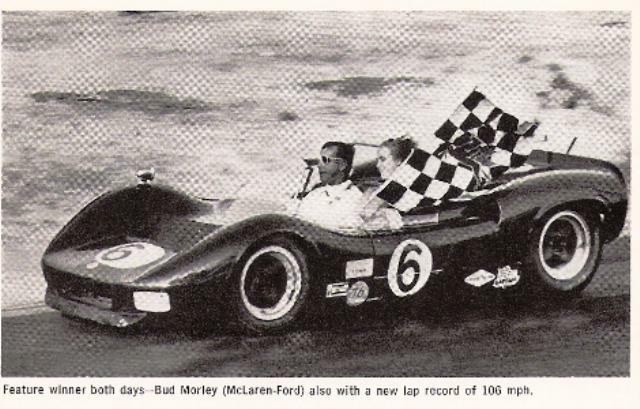 This program of racing, traditionally featuring single-seat, open-wheeled Formula I racers, is considered by many to be the pinnacle of driver achievement, with the prize money among the richest in the world. Scotsman Jackie Stewart made himself an international celebrity with his successes in grand prix racing. In the best-known grand prix races, the course is laid out on actual streets as opposed to a track built strictly for racing. Over the years a broader meaning for grand prix racing has evolved: races run on streets or, more common these days, a street-like track (such as the Hallett track near Tulsa) instead of the familiar oval course. That the Ponca City Grand Prix occurs on actual streets lends a special quality to the event. During most of the year, the roads on the east side of Lake Ponca are quiet, largely traveled by Ponca Citians out for an afternoon of relaxation, a picnic or just a stroll along the shore. Shortly before the Independence Day weekend, volunteers transform portions of the road into a track resembling a sort of fattened boomerang. ‘The course measures 1.5 miles, and drivers are forced to contend with five turns before they negotiate that last, tough hairpin turn. Temporary fences are put up around the course, and spectator areas are designated, as is a paddock area in the infield of the course, near the Start Finish line. The paddock is where race participants park their vehicles— racers, motor homes, trucks: it is also where cars are prepared to race. Barrels are lined up on the turns. West of the Start/Finish line a platform protected by a cover of tarpaulin serves as a work area for race officials, reporters and the race announcer. Tires are stacked around trees to lessen the impact if a vehicle should leave the track and crash. Within the spectators’ sections, the 8,000 who attend choose where they’d like to watch the races. Some spread blankets on the grass, others sit on lawn chairs, still others seem content to remain afoot. The shady spaces beneath the elms are at a premium. The cars that the spectators watch in Ponca City fall into five categories— Formula, GT or Grand Touring, Production, Showroom Stock and Sports Racing. Each of these categories contains several classes. Formulas are pure racing cars with single seats and open wheels (no fenders), with classes that differ as to engine size, weight, cooling systems and modification limitations. GTs are based on the design of mass- produced grand touring cars, sports cars and sedans; the classes are based on car weight, engine size and handling capability. Production racers are older, mass-produced sports cars, highly modified to enhance safety and performance. .Showroom Stocks are late model, mass-produced grand touring cars, sports cars and sedans; they race on street radial tires and in original showroom condition with no modifications allowed except for the addition of safety equipment. The final category. Sports Racing, is composed of four classes defined by engine size and design. All Sports Racers have one or two seats and fully enclosed bodywork, including fenders. These classes are placed into several groups; with the groups containing different categories of cars. Drivers are concerned with how they place in comparison with the other cars in their classes, not with group results. The goal of the drivers is to accumulate points toward qualifying for the National Championships in Atlanta. 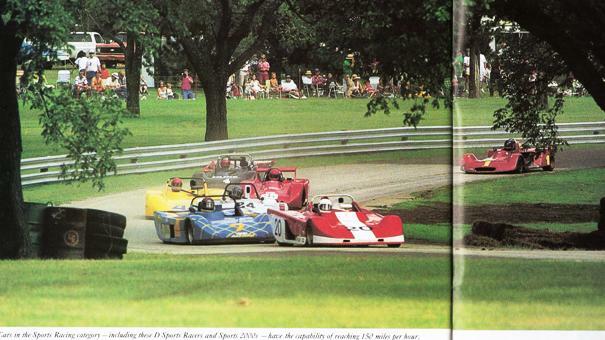 Some SCCA races score regional points, but the Ponca City race is considered a national event because the points count directly toward national qualification, thereby increasing the significance of the event. The first day consists of 10-lap heat races for the groups, wherein drivers compete for starting position for the race, which occurs the following day. The victors are the ones who capture the fastest times for their classes in a 30-lap race. The drivers who take part represent a broad segment of society, from employees of auto parts houses to doctors and, yes, personnel directors of large universities. 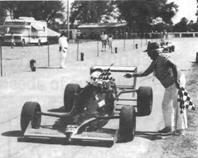 Edmond dentist John Polkinghorn, driving a Sports Racing Renault, came to Ponca City to race in his hometown. Tulsan Debbie Schreiner, a drug store manager, came expecting no special considerations as the only woman driving in the race. Most of these drivers will say they have, as Flegal admits, a love for fast cars that stretches back to their adolescence. 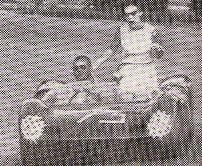 For 20 years, beginning in 1961, the Ponca City Grand Prix was a fixture on the northern Oklahoma community’s agenda of summer activities, an event established to raise money for charity. Racers and race fans made it a fixture on their summer agendas too. Sponsored by the local chapter of the American Business Clubs, the grand prix was as popular for the party-like atmosphere that surrounded it as for the races themselves. In 1982, it seemed as if the grand prix would become a part of the past as well when the business club members voted to discontinue sponsorship of the races, a decision reached because some felt the financial returns were not great enough for the effort that went into the races. And the date of a national motocross event—also sponsored by the club—held each summer in Ponca City conflicted with the auto races. For five summers the sound of racing engines did not resound off the water of Lake Ponca on Independence Day. Then, last year, officials with the Oklahoma regional group of the SCCA—which had viewed the Ponca City races as its annual big event, asked the American Business Club to bring back the grand prix. After the Tourism and Development Bureau of the Ponca City Area Chamber of Commerce signed on as co-sponsors and other clubs and organizations agreed to help, the races returned. Flegal had second thoughts about going through with the race. In the end, however, he loaded himself into the ‘Vette and took his position at the head of the grid. What ensued turned out to be a fitting climax for the grand prix. Flegal took the early lead, although he was pursued closely by Dan Sumervel of Golden, Colorado, and David Odle of Fort Worth. Flegal kept the lead, even though first and second gears went out on his transmission during the sixth lap. But by lap 10, he had fallen to third place. 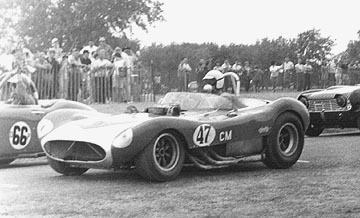 Eight laps later Flegal overtook Odle’s position in second place, and shortly thereafter the Texan retreated to the pit with car troubles. Sumervel held the lead for 10 more laps, even though Flegal always challenged him. Then, in lap 28, at the hairpin turn, Flegal thought his opponent missed a gear shift. Flegal, not the sort of driver to let such an opportunity slip away, pulled ahead of Sumervel. 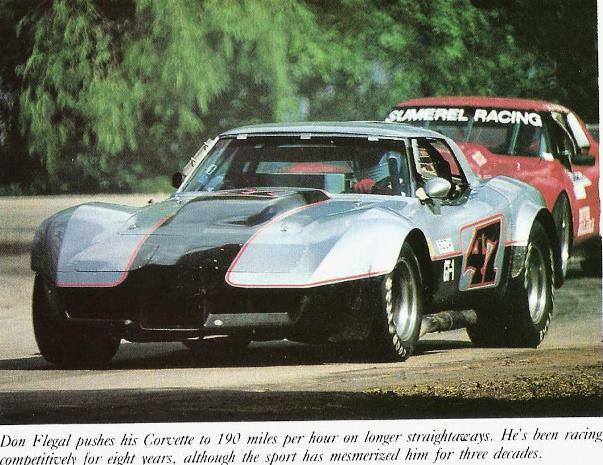 Two laps later, Flegal’s Corvette was the first car in the group to roar below the checkered flag. But the victory at Ponca City marked the high point of his racing season. Flegal continued to have transmission problems with his ‘Vette and his goal of qualifying for Atlanta went unreached. Paul Newman, perhaps, rested a little easier.